Looking for a romantic place with spectacular views in the Mother City? 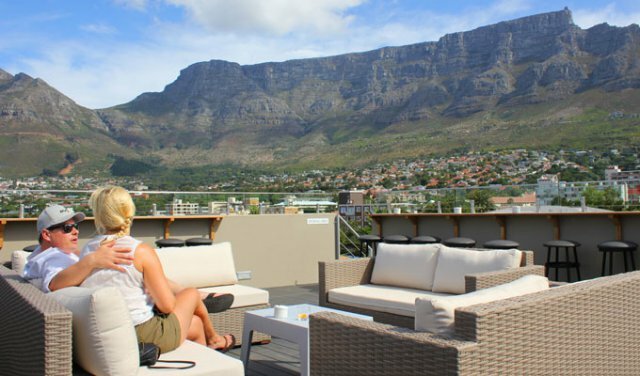 Whether you are hoping to find rooftop restaurants and bars with views across the Table Mountain or a cozy hotspot that boasts a romantic atmosphere, Cape Town is full of remarkable rooftop bars that cater to all tastes. To make things easier, we have created a list of 8 best rooftop restaurants that you must visit with your loved one. Located in Woodstock, La Bottega is an amazing Italian restaurant that offers an intimate atmosphere, chic design, and delicious food. Expect to find classical Italian and South African dishes on the menu including lamb meatballs, Piadina classica, classic beef burger, and pollo spicy chicken. 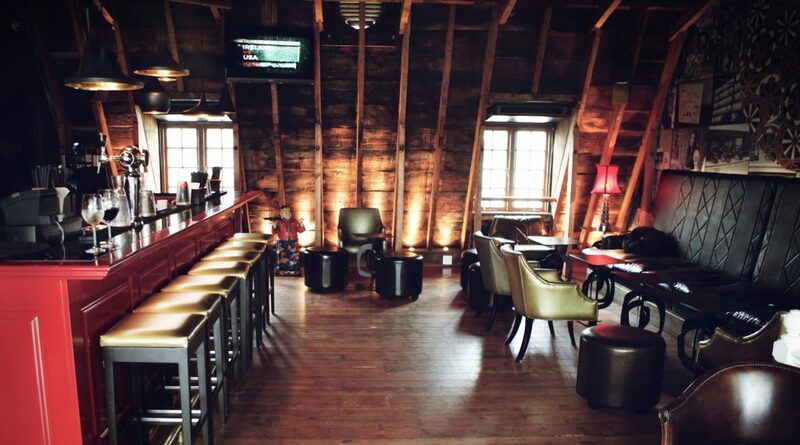 They also have an extensive pizza menu, as well as a nice selection of quality hot brews and craft beers. It’s a perfect place for an intimate meal, just go easy on the chilly beef burgers. For panoramic ocean and city views, head out to the top of the Cape Royale Hotel in Green Point and visit the Zenith Sky Bar & Pool Deck. 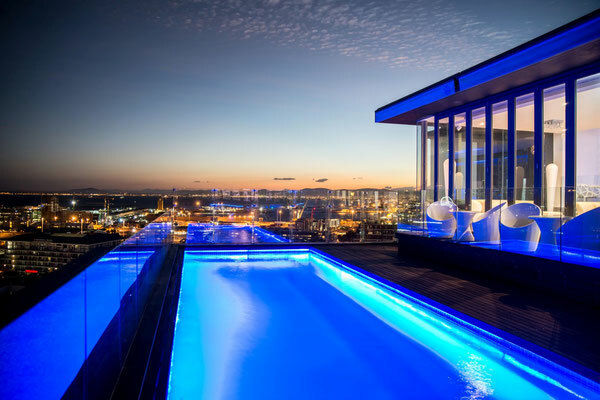 This exclusive rooftop bar is fitted with a swimming pool with loungers, an awesome cocktail bar, and grass patches. They offer an Asian-inspired menu with plenty of platters and sushi options. You can also choose from a variety of cocktails or order refreshing drinks like lemonade and cranberry juice. Keep in mind that Zenith Sky Bar & Pool Deck gets busy during the summer season, so make sure to reserve a table for a romantic dinner in advance. 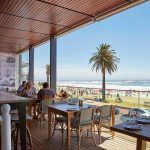 Cape Town is home to many great rooftop restaurants and bars and the Vue is one of them. 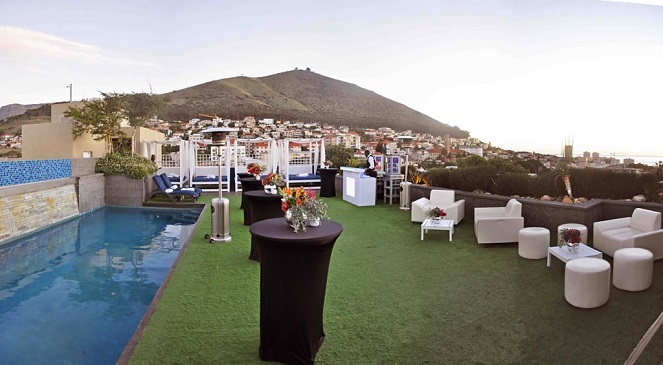 This elegant rooftop spot is situated on the top floor of the Mirage building and boasts spectacular views of Signal Hill, Lion’s Head and Table Mountain. 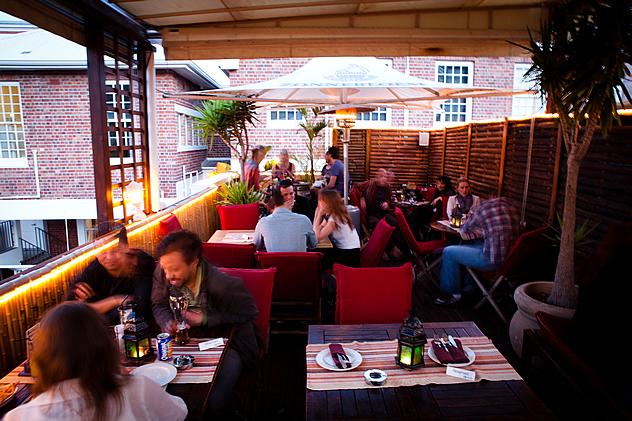 There are both outdoor and indoor options for seating and an international tapas menu is offered to guests. It is one of the most romantic rooftop venues in the city, making it an ideal place for that first date. 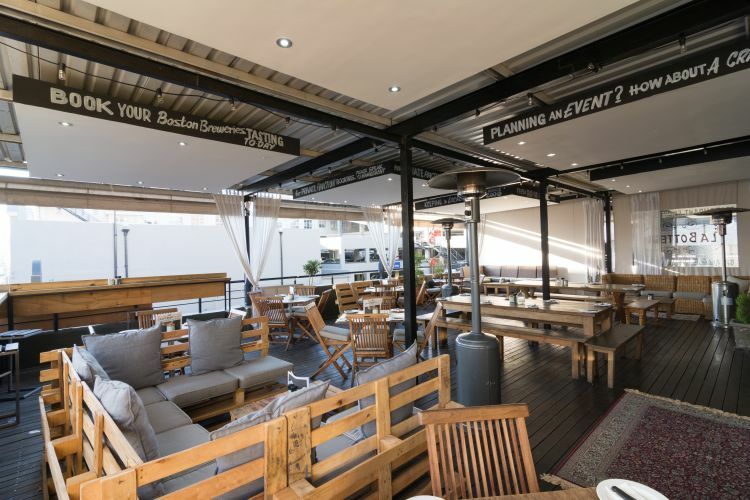 Up Yours is a laid-back rooftop terrace located right above Kloof Street that offers live music performances, amazing views of Table Mountain, and a nice selection of food including salads, wraps, sandwiches, and pizza. Come in the evening with your partner to grab a refreshing drink or to have light snacks while checking out an acoustic session and enjoying the famous Mother City sunset. The drinks are reasonably priced and the pizza is delicious. What’s not to like? 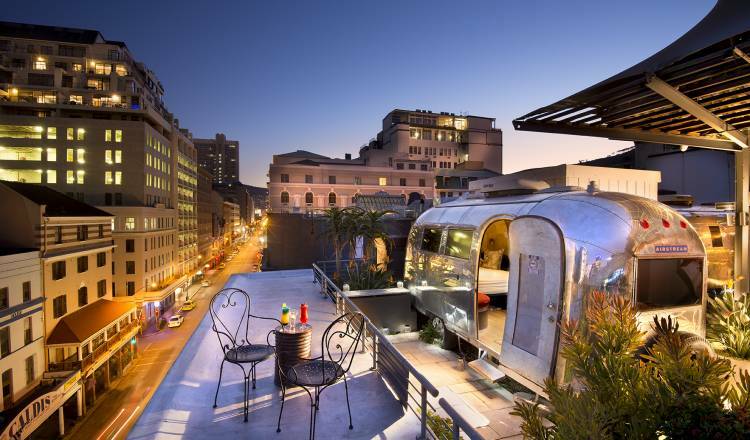 Conveniently located in the city center on lower Long Street, Sky Bar at Grand Daddy Hotel is well-known for its airstream trailer park and remarkable mountain views. They have an extensive cocktail list including their signature Trailer Park Happiness cocktail that is made from vodka and premium gin. 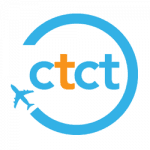 Check out their weekly schedule for events and take out your loved one to a movie screening or to some other special event. It would be wise to make a booking beforehand, as this place can get quite busy in summer. 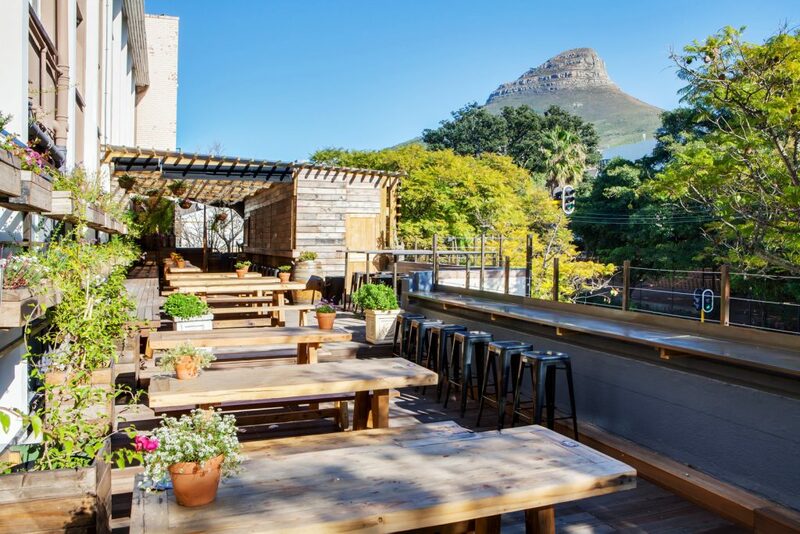 One of the most popular rooftop restaurants in Cape Town, Rick’s Cafe Americain or as the locals call it Rick’s is a cool Casablanca-themed restaurant that serves delicious Moroccan dishes and has a nice comfortable rooftop beck with stunning views of Signal Hill and Table Mountain. 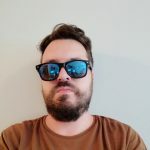 It comes as no surprise that many people come here on dates, as the place is situated inside a 100-year-old Victorian building and hosts live jazz music performances occasionally. One more thing: Happy Hour is from 3 to 7 pm every day and beers and cocktails are 25% off. In case you are looking for a cozy atmosphere and good vibes, Tjing Tjing may just be that perfect romantic rooftop spot you were hoping to find. 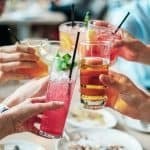 It is situated inside a two-centuries-old heritage building and offers amazing city views, great wine list, a variety of cocktails, and a couple of craft beer options. Tjing Tjing also has an excellent Asian-infused tapas menu with dishes like deep-fried sushi rice cubes, exotic mushroom tempura, beef tempura temaki, sweet and sticky ribs, and duck Hirata. If there is some space left after dinner, make sure to try their signature desserts such as Zaku Zaku and Mitarashi Dango. Offering 360-degree views of Signal Hill and Table Mountain, Cloud 9 Rooftop Bar is an ideal place for a romantic date. You will find sushi platters on the menu, as well as an extensive cocktail list. There is also a cool plunge pool for warm summer days. Come on Wednesdays from 3 to 7 PM when the local craft beer and cocktails are 2 for 1.